This impressive building at Passeig de Gracia,11 holds the headquarters of Banco Vitalicio de España (Full View), an insurance company of renown prestige. It was built from 1941 to January 1950 on the same place where Palau Marianao was. The building was a project of Lluís Bonet i Garí (1893-1993) one of the architects who, after the Spanish Civil War, continued with the building of the Sagrada Família. 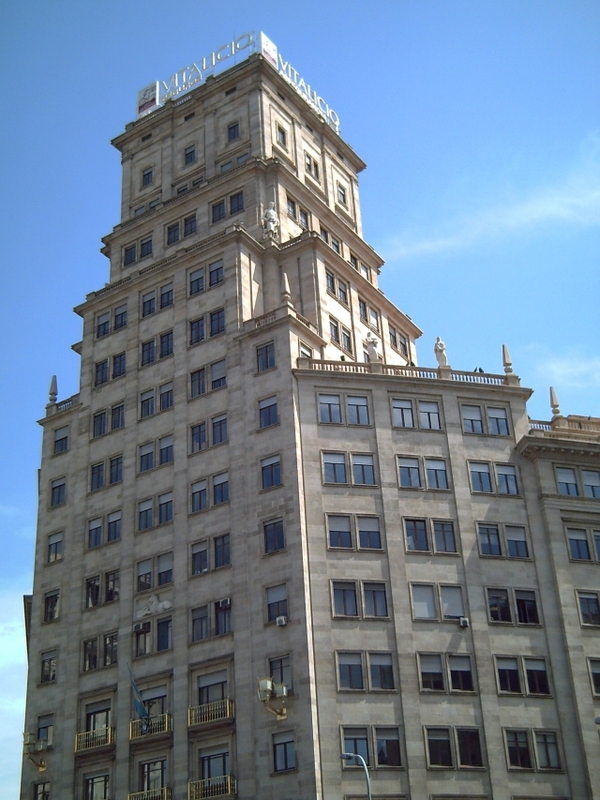 With its 17 floors it was one of the first high-rise buildings in Barcelona and a sample of the new prosperous times after the end of the dark postwar period of the 40's.